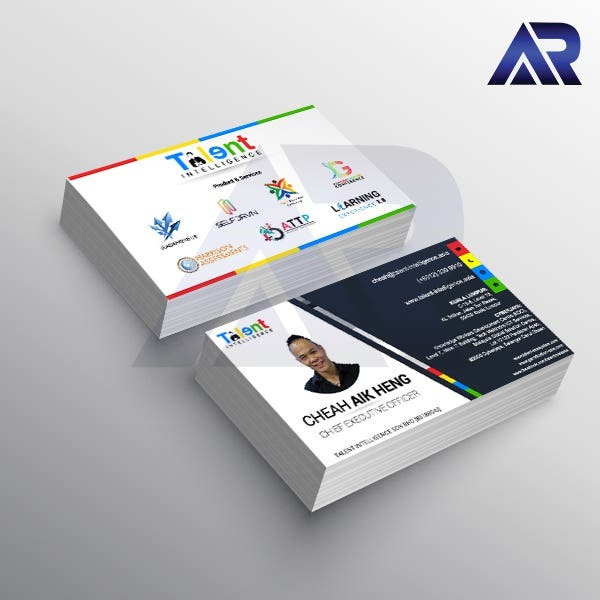 Business card design for Talent Intelligence Sdn Bhd. My career goal is to be a designer who creates design that inspires and motivates people. I was 17 when i fell in love with graphic design and this relationship still continues. I also love photography,drawing and painting. I define myself as a loyal, adaptable, ambitious, self-motivated, confident and down-to-earth person.